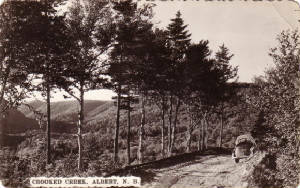 Crooked Creek, Albert County, N.B. As the new Host to Albert County GenWeb & the owner of Our Ancestors of Albert County, I have merged the two sites together as one, in the hope of a new beginning for the next generations. I also hope you will find helpful links and other information as you research your ancestors. On this page I hope to provide information about "Who" I am and what inspired me to help others with their research. The following thoughts from an unknown author are most appropriate. It's titled "We are the Chosen"
A dear friend had told me once, that I can do anything when I put my mind to it, so I hope he is right. As he helped me in so many ways in my research and now I will need your help to make this site what will be a new beginning in our family ties, and together we can make it grow to help all genealogists in finding helpful links and history of their ancestors. I’m looking forward to meeting and helping others in genealogy. I also hope that this site can become a real Albert County community resource as well. an upcoming Canadian Country Music Artists. I started playing guitar and singing around the campfire for a few years just for fun, now I made a CD. Thank You; To all my friends that helped me in making my dreams come true and making my songs come alive. 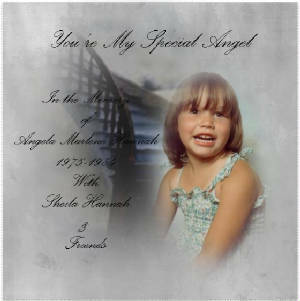 My songs are in the memory of my daughter Angela Hannah 1975-1984. songs are Now you're My Special Angel and I'm Climbing the Stairs To Heaven. Songs written and sung by Sheila Hannah. I’m very proud of Mike and to be part of his grand-old-kitchen party. Born in Bowmanville, Ontario, Mike Pollard was the youngest of three children. Mike grew up in the tiny hamlet of Crooked Creek where rural life was all he knew. From a very early age, country music was a huge part of his life. Every radio in the Pollard house was tuned into the local country station and classic country music was always spinning on the record player. When weekends rolled around there were always family gatherings and the guitars and old country songs fuelled Mike’s love for it even more. 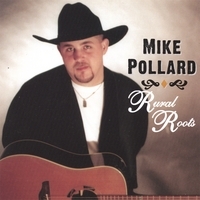 Follow this link http://www.cdbaby.com/cd/mikepollard1 to see more about Mike and listen to his Music.